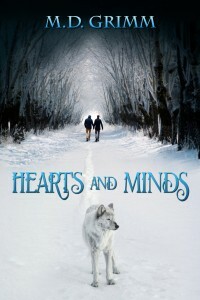 This story resides in my Shifters series universe and is a sequel to “Healing Minds” (book 5). As a reminder, the couple in that story was Josh (Agency aide) and Xavier (psychologically damaged wolf shifter). In “Hearts and Minds” we visit them nearly a year later, and they are working on their clinic that will eventually house shifters who were once prisoners of the evil Knights. With the construction for their shifter rehabilitation clinic in Haven underway, Xavier and Josh couldn’t be happier, professionally. But their busy lives leave them little alone time. It’s putting a strain on their relationship, and they still haven’t had anything close to a honeymoon. Josh realizes Valentine’s Day is just around the corner and sees an opportunity he can’t let get away. But never having observed the holiday before, he has no idea what Xavier might want. All Xavier knows is that Josh wants to celebrate, but he has no clue how. 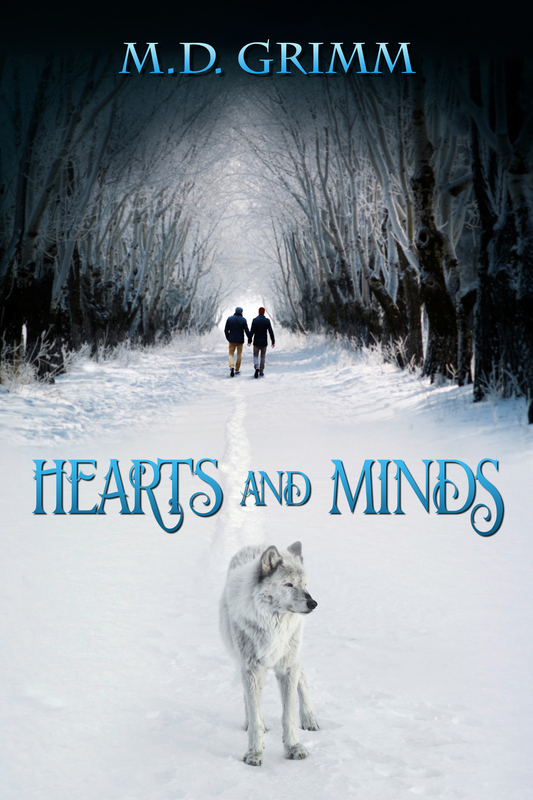 Before either of them makes a concrete decision, a bear shifter attacks Haven and tramples their romantic plans. I’ll be back with more info and excerpts, so stay tuned! A dragon shifter would be great, but I enjoy feline shifters, both big cats and house cats. I love the big cats as well! It was a lot of fun to have Travis in “Blind Devotion” as a cougar shifter. I have a tiger planned in a future book. I like different types of shifters, so I don’t really have a favorite. Dragons are my first love. Wolf would probably be next.